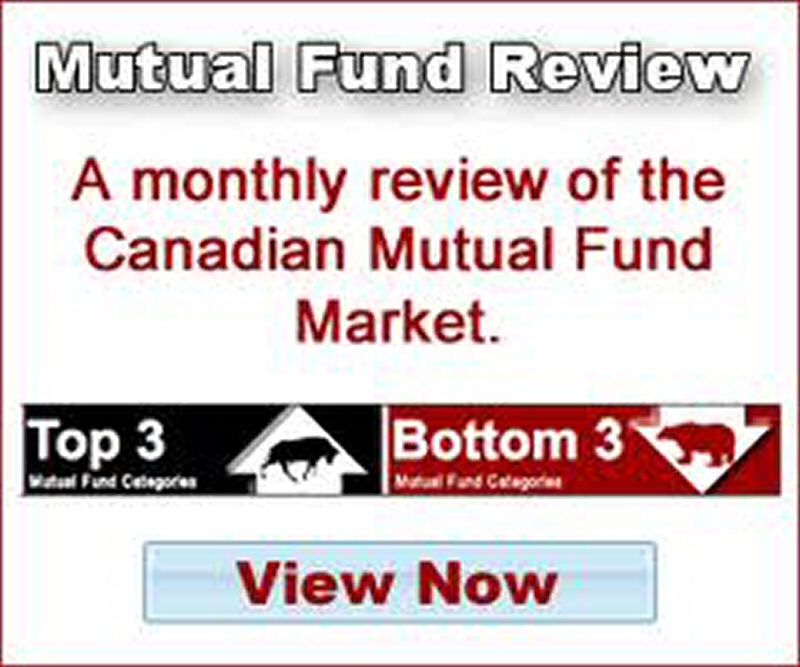 Mutual Fund Review - The Canadian Mutual Fund Review is the complete and thorough review of the news, information, data and changes that affect the universe of mutual funds available in Canada. 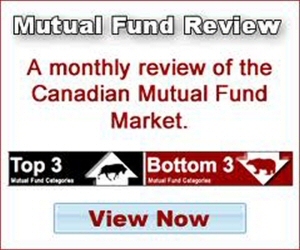 Canadian Investment Review, The Mutual Fund Guide and the Canadian Investment Guide are testaments of the Mutual Fund Network to deliver. Internet, media, print and publication to pronounce the mutual fund news, information, insight and data to those target markets that want it, warrant it and need it most with the investor-advisor relationship as a main benefactor and FUNDCOS as participating sponsors. Mutual Funds news, information, analysis and insight in to the world of funds and the intricate mutual fund flows of money throughout sectors, asset classes and categories within the 750 billion dollar Mutual Fund Market. There is no one particular Mutual Fund Index that gives a general direction of the mutual fund market and industry. It is generally accepted that in the world of portfolio comparison the overall objective is to make money, more than the average investor and perhaps the average annual return of a chosen index or a reasonable percentage thresh hold to achieve. The Mutual Fund Review is meant to be a primary demonstration tool for advisors and their important mutual fund investors. A guide or guideline a rulebook, thee interpretation aid to assist in the explanation of the complex investments called "mutual funds". The Mutual Fund Review and Program allows for the systematic analysis of the entire mutual fund market and industry at a glance. The Mutual Fund System allows easy to follow charts and information that assists in the sales and portfolio decision-making steps of a successful and profitable long-term relationship. The Monthly Mutual Fund Guide and electronically inter-active chart makes investing sense as a guide to mutual fund investing and a monitoring system in place to help make better decisions more often in a timely manner. The savvy Mutual Fund Shareholder and Mutual Fund Investors in general realize that there are many factors that affect their portfolios outcomes. Investors have to do some homework and follow up with their own knowledge, rights and responsibilities. A client that is generally more aware and informed makes for a better client even in tough times. Mutual Fund Customers demand more and will get more out of the independent Mutual Fund Advisor or Mutual Fund Representative; in recent studies the advisor channel is preferred by most investors for better service, interest, communication and returns compared to retail bank funds and do it yourself, online and no-load offerings. Mutual Fund Review slices and dices the information the way it was meant to be not from the perspective of any one fund company but more precisely the way a customer would enter any marketplace online or in person all the main players, product, buyers and sellers are present and most efficient. Mutual Fund Review gets the news, information, data and analysis that matters most and explains the big picture clearly and concisely. There are 53 Mutual Fund Categories that fall in to 10 Mutual Fund Asset Classes with even more detailed Mutual Fund Sectors all information is carefully reviewed and analyzed for decision makers - professional advisors - veteran investors and fund managers are even getting the ideas and actionable market intelligence to compete in the grand scheme of things.